It’s no secret that solid nutrition is vital to good overall health. If you’re an avid exerciser, your nutrition needs go up, with key nutrients playing an important role in making your workout program more effective. Vitamin C for a Healthy Life!! Working out, while paramount for a healthy lifestyle, does cause elevated aerobic metabolism, which in turn increases the production of damaging molecules known as free radicals. A free radical is a molecule that’s missing at least one electron in its outermost orbit, which causes it to be negatively charged. Like most things in nature, free radicals seek to remain neutral, and in an effort to achieve this balance, they invade healthy cells in your body and steal electrons from them. In a nutshell, if this process continues, it will cause cellular breakdown, which is associated with conditions such as diabetes, cancer, heart disease and faster aging. 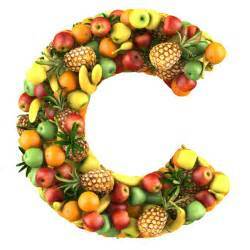 Vitamins such as C and E are antioxidants, and play an important role in free radical protection. Foods high in vitamin C are oranges, strawberries, bell peppers, kale and kiwis. Foods high in vitamin E are sunflower seeds, almonds and peanut butter. Supplementation of 500 mg of vitamin C and 400 IU of vitamin E d-alpha tocopherol, the natural form, may be beneficial. One of the side effects of statin drugs (Pravastatin, Atorvastatin and Pitavastatin), which are used to lower high serum cholesterol levels, is the depletion of Co-Q10, a natural antioxidant synthesized by the body and found in many foods. If you’re experiencing leg pains, it may mean that your statin drug is causing a drop in your CoQ10 levels. .
Co-Q10 comes in two forms: ubiquinol, the active antioxidant structure, and ubiquinone, the oxidized form, which the body partially converts to ubiquinol. Co-Q10 is important in energy production, helping you last longer at the gym, and also plays a vital role a role in circulatory and heart health. Foods high in Co-Q10 are beef, sardines, mackerel, spinach, broccoli and cauliflower. Because many health authorizes believe that only about 2 to 5 mg of CoQ10 is delivered through food daily, it’s not enough to sustain adequate blood levels of the nutrient. Many nutritionists suggest Co-Q10 supplementation of 100 mg to 200 mg a day with meals because it’s fat-soluble. I take 50 -100 mg daily. If you’re feeling a little sluggish at the gym, it could be because you’re lacking in the B vitamins. The body uses these micronutrients to convert protein and sugar into energy and red blood cells. Athletes with low levels of B vitamins performed poorly during high-intensity exercise, according to research published in the International Journal of Sport Nutrition and Exercise Metabolism. Foods high in B vitamins are tuna, black beans, lentils and peanuts. Stress and processed foods cause depletion of these water-soluble vitamins. So it’s recommended that you supplement your diet with at least 25 mg a day (a good multivitamin should cover all of your needs). Calcium does more than build healthy, strong bones and teeth. It’s also important in muscle contraction and relaxation. Every time a muscle is about to contract, calcium is rushed into the muscle fiber, permitting it to shorten. When it relaxes, calcium is pumped out. A shortage of this bone-building mineral will cause your muscles to suffer unexpected twitching, cramps and fatigue, all of which reduce your performance at the gym. Foods high in calcium include milk, yogurt, leafy greens, beans and almond milk. Many health professionals recommend supplementing the diet with 500 to 1000 mg daily. When supplementing calcium, it’s best to take it in a 2:1 ration to magnesium (1000 mg of Cal, 500 mg of Mag). Magnesium plays a number of important roles in the body, from more than 325 enzymatic reactions, including those involved in the synthesis of fat, protein and nucleic acids, to neurological activity, muscular contraction and relaxation, cardiac activity and bone metabolism. Furthermore, magnesium is essential in both anaerobic and aerobic energy production, particularly in the metabolism of adenosine triphosphate (ATP), the energy catalyst of the body. Therefore, lacking in this mineral will surely weaken athletic performance. Foods high in magnesium include roasted pumpkin seeds, almonds, Brazilian nuts, sesame seeds, roasted, salted peanuts and walnuts. When supplementing with magnesium, it’s best to do it with a 2:1 ration to calcium (1000 mg of Cal, 500 mg of Mag). Feel like a banana? If you’re participating in endurance activities such as running and biking, it’s crucial as the potassium in it works with sodium to help your muscles and nerves work properly, while nullifying cramps and speeding up the recuperation process. Foods high in potassium include sweet potatoes, bananas, avocados and tuna. There shouldn’t be a need to supplement your diet if you’re eating the above-mentioned foods. An hour of lifting weights could deplete 5.7 percent of your supplies of this mineral, which helps red blood cells transport oxygen to muscles. Losing too much of your stores may result in iron-deficiency anemia, which causes fatigue and crushes your endurance during lengthy sessions. If you’re a pre-menopausal female, it’s even more important as you lose various amounts each much through your menstrual cycle. Recent research from the United States Department of Agriculture found that low levels of zinc diminishes cyclists’ oxygen uptake — leading them to run out of gas more quickly. Zinc also plays a role in sugar metabolism, which plays a role in energy production. Foods high in zinc include red meat, chickpeas, pumpkin seeds and quinoa. White spots on your finger nails could be an indication of a deficiency of this mineral. Supplementing your diet with 50 mg of zinc a day will help you avoid any deficiencies. Jerry Del Priore has worked as a certified personal trainer, and received his degree in Physical Education from Brooklyn College in 1991. Del Priore is also a veteran print and digital Sports Writer-Reporter-Author experienced in writing in-depth profile stories on a variety of high school, college and professional athletes and teams. Specialties: Baseball, football, hockey and basketball writing. Del Priore also has covered lacrosse, soccer, golf and track and field, with ample experience cover women’s sports as well. Del Priore is also a Food Writer/Blogger experienced in venue write-ups and reviews. In addition, Del Priore has ample experience working with medically fragile children, children with behavioral challenges and children/adults with cognitive impairments. Read Jerry Del Prior’s book: Running Through Roadblocks and view his blog at www.Brooklynsportsworld.com.